Kitchen storage is never a dull topic in a Tom Howley kitchen. Wow friends with the latest wine cooling systems. Surprise and delight with hidden gems behind your bespoke double pantry doors. 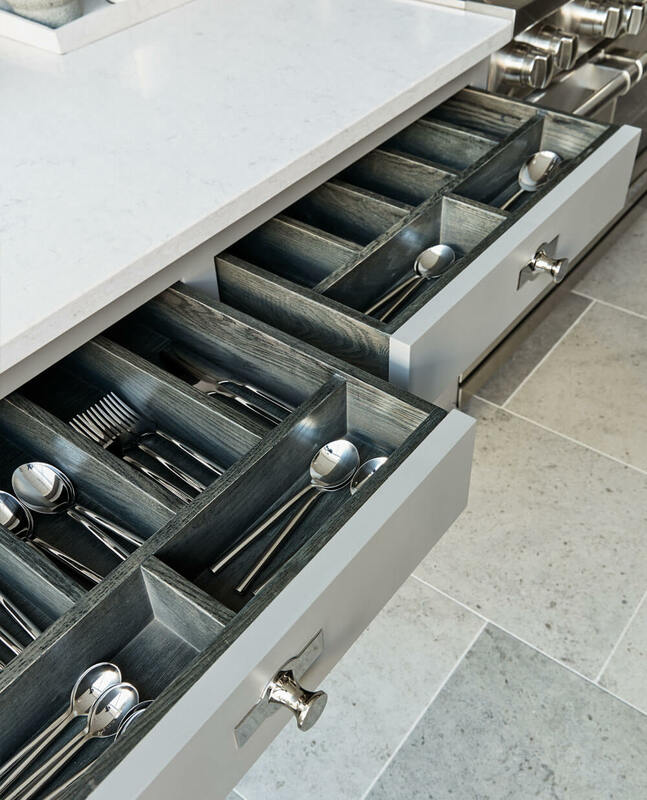 From traditional Shaker-style plate racks to deep drawers for storing pots and pans, we can invent all kinds of beautiful storage solutions to keep your kitchen calm and clutter-free. Tell us what you’d like to store and we’ll invent a bespoke solution for you. 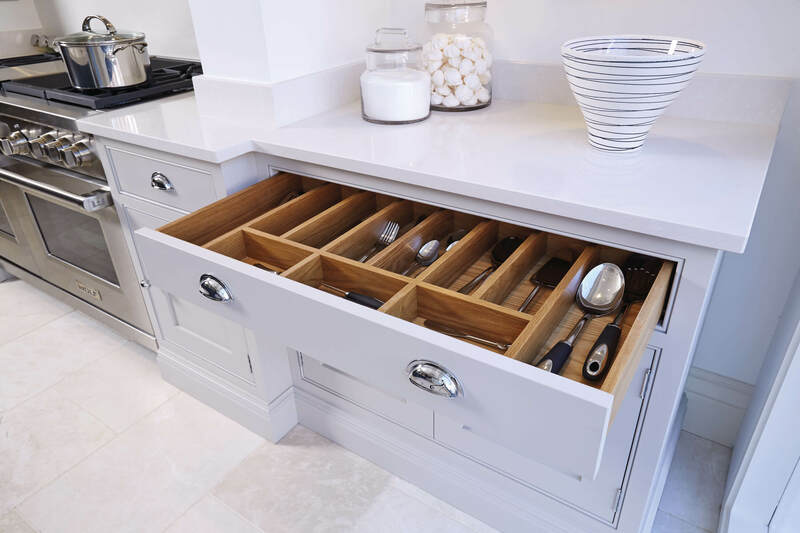 Previous clients have enjoyed walnut cutlery drawers with bespoke inlays, custom-made glass-fronted cabinets and drawers engraved with children’s names. 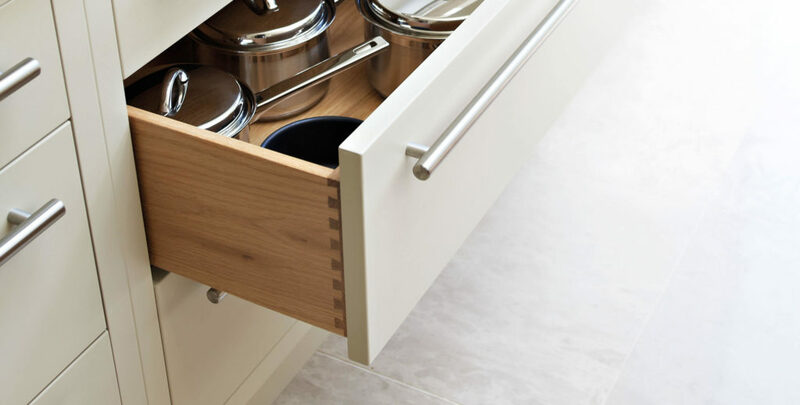 Whether you want kitchen shelves to display your best tableware or perfectly proportioned cupboard storage, we will design bespoke storage seamlessly into your kitchen design. 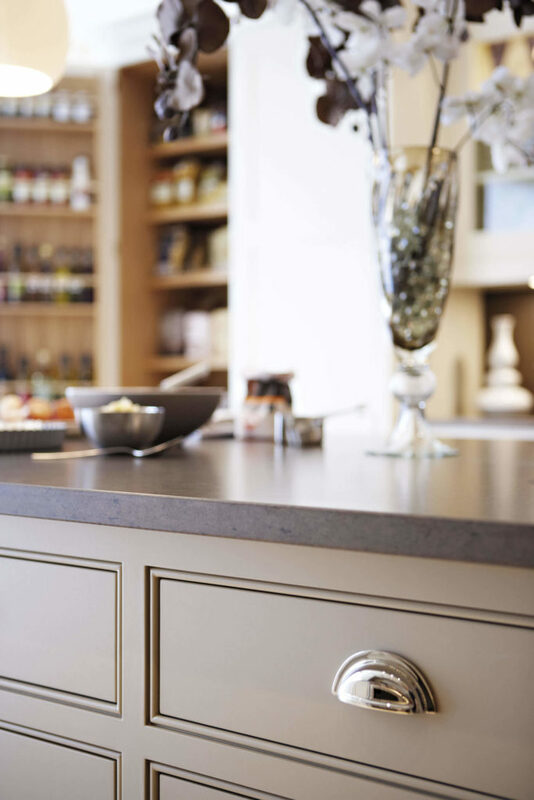 All of the cabinetry we design and handcraft can be tailored to your exact specifications, meaning you can have almost any storage solution created to keep everything from crockery to champagne. 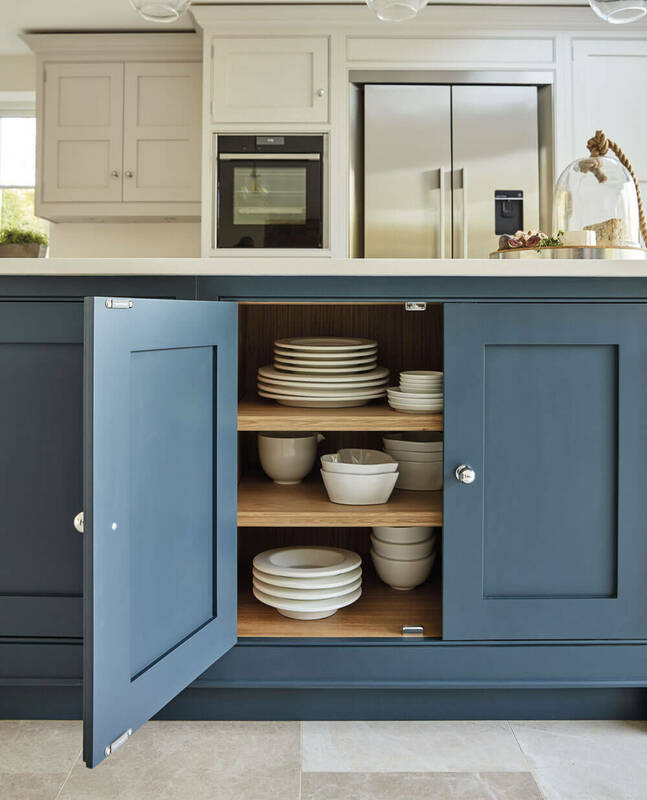 All of our storage solutions – drawers, pantries, dressers, plate racks – come in a range of design options and can be hand-painted in contemporary colours exclusive to Tom Howley, finished with your choice of solid brass handles.